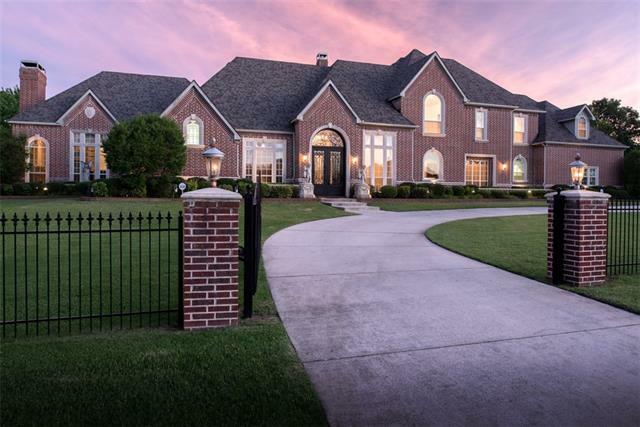 "A gorgeous custom 7,659 sq. ft. residence built by Garret Bros. Luxury Homes on 3 hilltop acres. 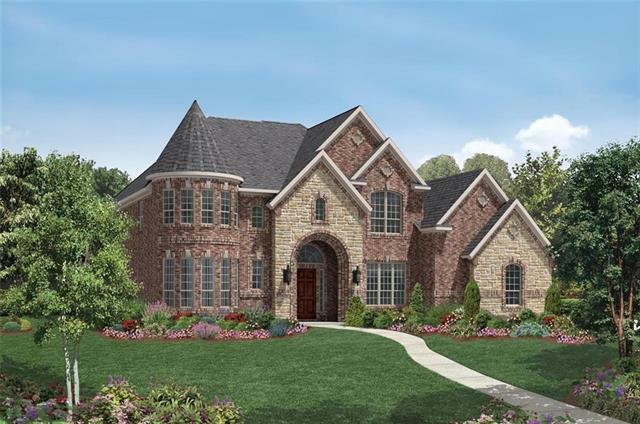 This stunning French country manor is situated on an expansive lot features a stone fa ade highlighted with ironwork details and elegant glass and metal double front door. 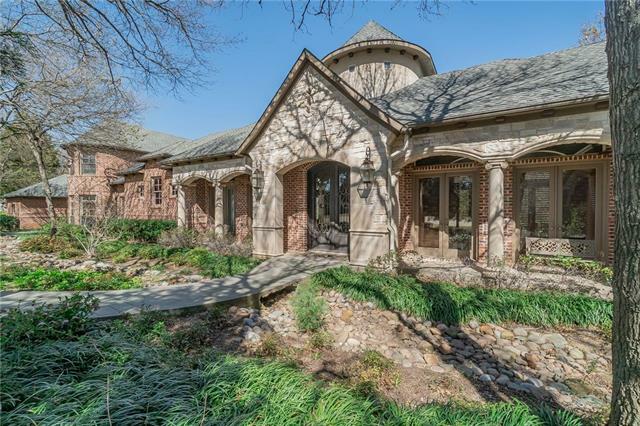 The sprawling exterior offers a wide circular driveway around the pre-plumbed fountain area, connecting to a wide porte-cochere with connecting motor court at the split oversized two car garages. The fa ade is complemented by rai"
"Built as his personal residence, this Tim Jackson custom home is filled with extraordinary detailed craftsmanship, and impeccable quality. 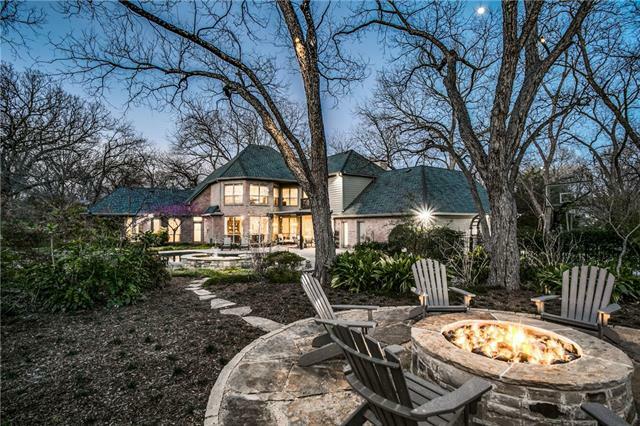 Beautifully sited, this home feels private and quiet as it nestles among the trees on 1.5 professionally landscaped acres. 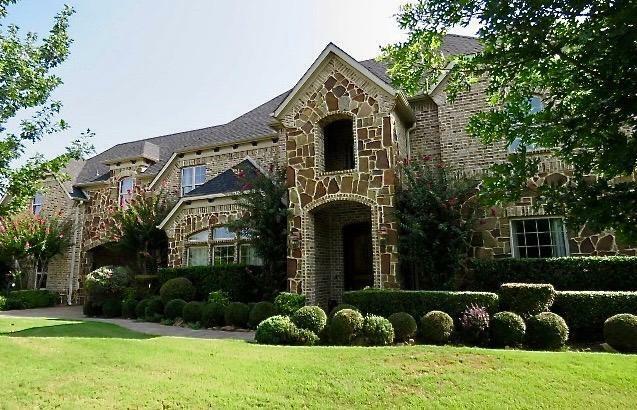 Located in prestigious Stone Creek, you will be part of the top-rated Lovejoy School District. Incredible saltwater pool, cabana, outdoor living, putting green, custom tree house, and a lavish two story guest house which is currently bein"
"Surrounded by towering trees, this one of a kind estate property is beautifully situated upon a hilltop and offers breathtaking tree top views throughout! 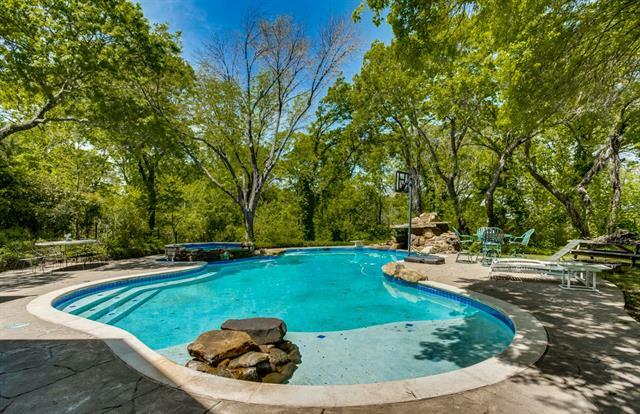 The property includes 2.8 acres of heavily treed privacy. 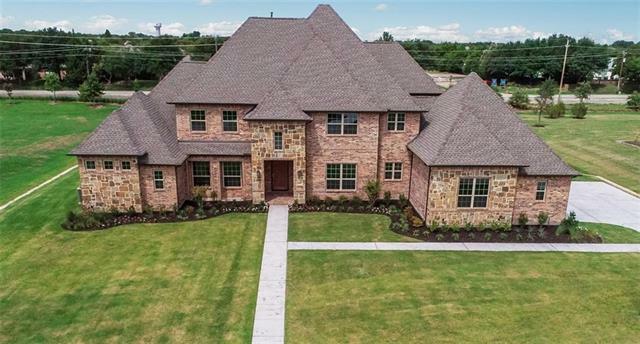 Located in sought after Oakwood Estates and Lovejoy ISD is this 5 bedroom home, 5 and a half baths, with gourmet kitchen, game and media rooms, study and bonus exercise room, Outside includes diving pool and spa, covered patio, balcony and outdoor kitchen. Recent updates include"
"This Santa Barbara Classic is tucked away on a tree covered hill and created for comfortable family living and entertaining. Farm to table inspired cook s kitchen with all luxury appliances: Viking, Thermador and Subzero. The large chef s island is anchored by the keeping room and fireplace. 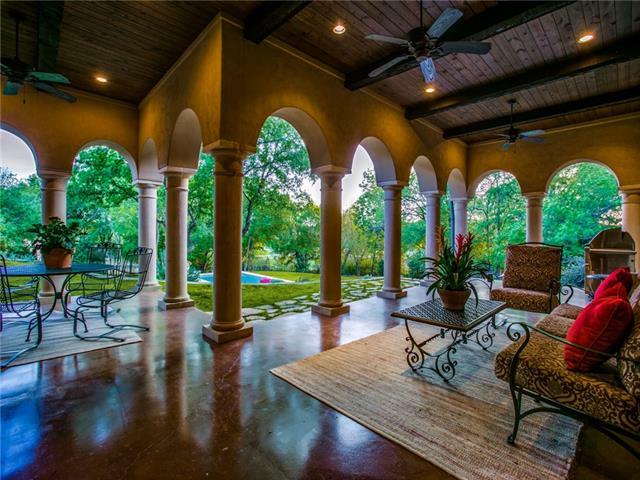 Architectural ceilings, gallery walkways, intricately inlayed reclaimed tile and special touches from around the world show off the custom workmanship of this beautiful Tim Jackson built home. 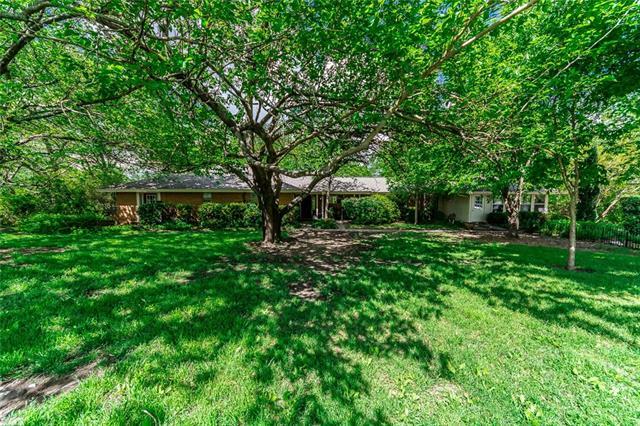 Let your e"
"Beautiful rolling hills, pond, garden areas, fenced yard, large trees and right in the heart of Fairview! Darling original farm house has been renovated and has real hard wood floors, crown molding and large base boards. The second bedroom has a fun loft. This charming home is surrounded by lots of land to play on." "6.377 pastoral acres in Lovejoy ISD. Possible site for building your dream home as house is outdated and rambling. Value is in the land. Orchard with 20 + fruit trees. Large Pecan, Sycamore, Elm and Oak trees grace the grounds which have wooded borders. RARITY. Nice cottage with 2 rooms, kitchenette, half bath, electricity & phone line. Tuft shed. Great barn with workshop, Electricity via extension cord. Organic Gardens with great soil. Three acres with barn great pasture for horse. 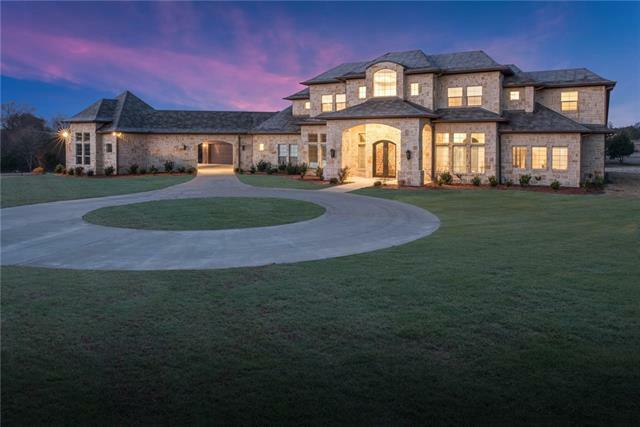 The land has"
"Stunning custom home on 1.5 acres backing a greenbelt in Oakwood Estates....could it get any better? Lush landscaping surround the diving pool and outdoor kitchen and living area making it an oasis anyone would want to end the day by. 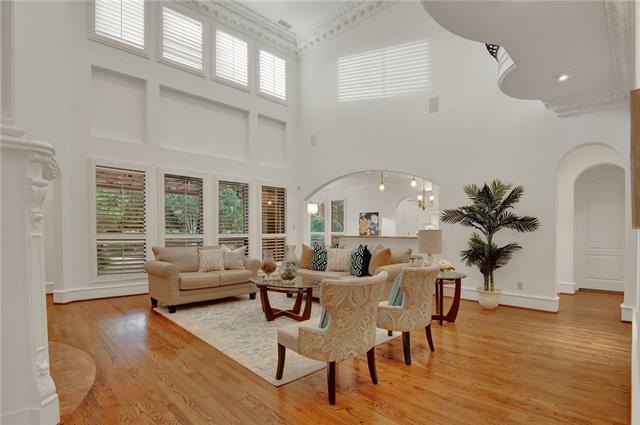 The home itself features thick moldings, hardwood floors, open layout, large bedrooms, custom built ins, formal and back staircases, great storage, 3 and a half car garage, culdesac lot, plantation shutters, Anderson wood windows....come take a look today!" 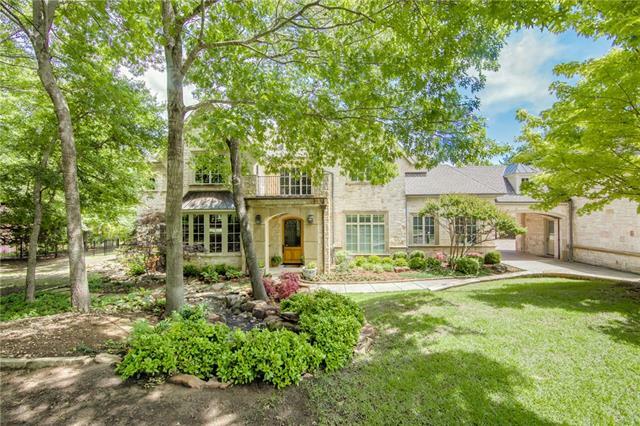 "Situated in prestigious Woods of Ascot Heath, in exemplary Lovejoy ISD, this incredible home is tucked away on a gorgeous, heavily wooded private lot. Spectacular outdoor living area includes flagstone decking around the pool and raised spa, expansive wood decking, a firepit, an outdoor fireplace, a wet bar, and gorgeous planters and columns with accent lighting for nighttime ambience. Inside the recently updated interior you will find exquisite finishes, travertine tile and hardwood floors, lea"
"Completely renovated in 2015, this home has the perks of being in an established neighborhood with huge trees, but has the appeal of a new home with the remodel. From the floors to the ac units to the pool and pool equipment, nothing was left untouched. On trend paint and fixtures, open layout, stunning kitchen opens to the family room with gorgeous windows that overlook the huge backyard with a pool (resurfaced and replaced equipment 5 years ago) master and guest bedroom down, gameroom off the "
"Immaculate Terry Holmes built estate on 1.01 acres! Located on a secluded and private cul-de-sac lot. Very recent remodel includes a totally renovated spa-like master bath, soft, neutral paint colors, porcelain tile flooring, transitional lighting fixtures and more! Elegant formals and beautiful great room with floor-to-ceiling river rock stone fireplace and picturesque backyard views. Spacious game-media room and expansive covered balcony! The oasis backyard presents a pristine pool and spa, ca"
"Gorgeous home in Fairview's most prestigious neighborhood, Oakwood Estates. This stunning custom home on 1.22 acres features a gorgeous covered deck, pool w slide and spa--perfect for entertaining, plus a children's playhouse, sport court cement pad, cement walking path, lots of mature trees, and an outdoor fire pit and cabana. You'll instantly fall in love with this 5 BR, 4 bath home, with 3 fireplaces, 3 car garage, gorgeous maple floors, new carpets, fresh paint and spacious, open living are"
"This incredible home exudes character and charm with elegant stone and hardwood floors and spectacular ceilings. Private master wing includes the study with its own back patio, a separate sitting area~exercise room, and an incredible master bath. The thoughtful floor plan also includes a secluded guest suite on the first floor, with three more bedrooms and a game room upstairs. Situated at the end of a cul de sac among mature trees providing ample privacy, the lines between indoor and outdoor li"
"MLS# 14030217 - Built by Toll Brothers, Inc. - August completion! ~ Corner home site that is over an acre! Walking distance to nature preserve, this home has it all. Dramatic exterior highlighted b the stone turret. Huge study with windows galore. The elegant foyer with sweeping hardwood floored staircase will make guest feel welcome. Large open kitchen with center island and breakfast area. The formal dining is ready for entertaining. The two-story great room is cozy with corner fireplace"
"MLS# 14051201 - Built by Toll Brothers, Inc. - April completion! ~ Gorgeous two-story foyer with curved staircase complete with iron railing and wood steps welcomes you and your guests. Formal dining space has built-in shelves. The well appointed kitchen has stainless steel apron sink, gas stove top, pot-filler, and double ovens along with large center island, extended wood cabinets, wine cooler and built-in refrigerator. The great room is open and airy with tiled fireplace. Relax in the master "
"This beautiful craftsman-style home exudes warmth and grace as you enter the circular drive. 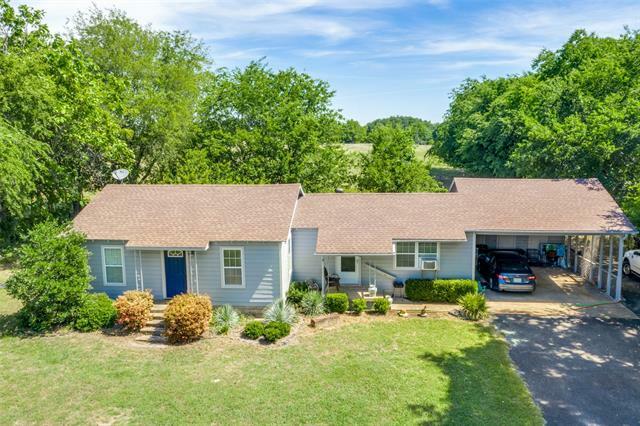 Surrounded by mature trees and situated on a park-like acre of land, you can enjoy country living while being part of the exceptional Lovejoy ISD and only minutes away from every amenity available. The striking exterior of this home combines sweeping curves and dormer windows for a look that is universally loved, and the interior is no less impressive. 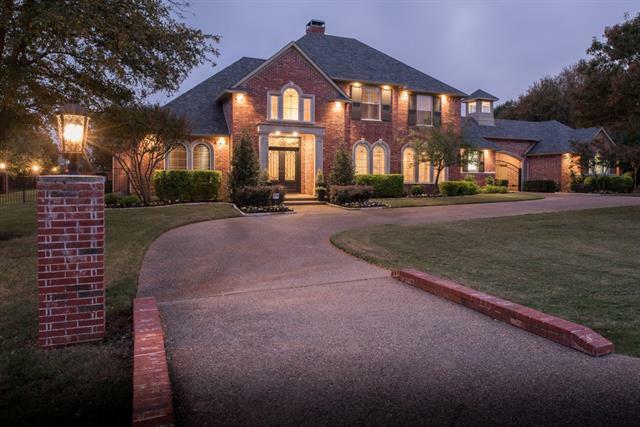 Rich hardwoods, deep baseboards, plantation shutters"
"Stunning estate on 1.2+ acres in sought-after Lovejoy ISD! Beautiful drive up w circular drive and beautiful landscaping. Exquisite craftsmanship in contemporary home w no detail left undone. First floor offers formal living or dining room, large study w fireplace. Adjacent to tranquil family room is kitchen w dual islands, dual sinks, ample storage and large bfast room. Master is a dream w fp, sitting area, sep shower, freestanding soaking tub and custom walk-in. First floor is complete w add b"
"Stunning custom sitting on 1.22 acres in Fairview's sought after Oakwood Estates. Heavily wooded corner lot offers privacy to enjoy the expansive outdoor living area with an Equinox louvered roof, gas firepit, pool & spa. Home was built for taking advantage of spectacular back yd views with banks of windows in every room. 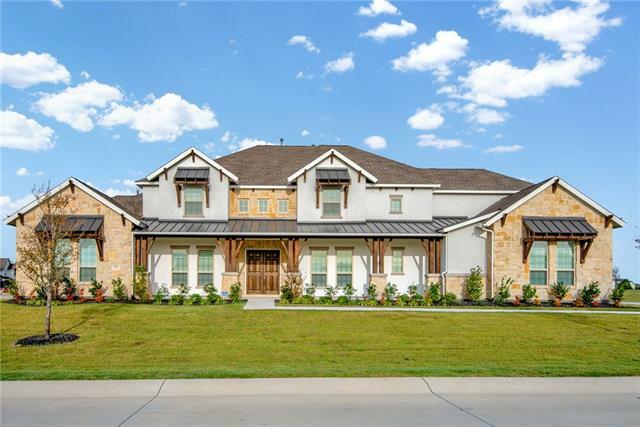 Stellar detailing abounds including rich hardwoods, deep floor-ceiling mldgs, granite c-tops throughout, custom organization system in garage, updtd mstr bath & kitchen & so mu"
"Beautiful new Toll Brothers home on a 1 acre home site in Lovejoy ISD. 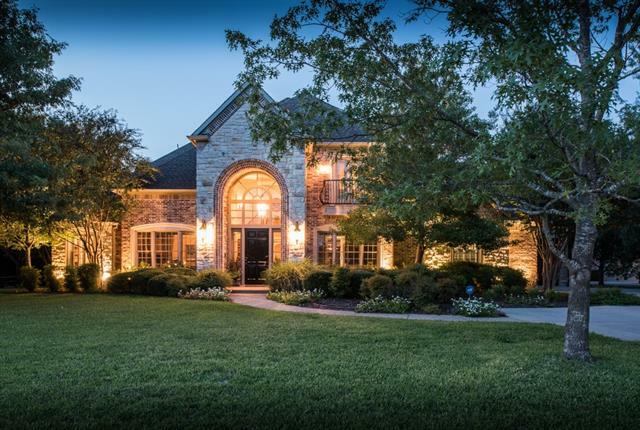 This incredible home has 5 bedrooms, 4.5 baths and a large coved patio. Two bedrooms down and 3 bedrooms, media, and large game room up. Double ovens and a 6 burner gas commercial style stove top are just a few of the gourmet features found in this over-sized kitchen with a HUGE island. Hardwood flooring throughout the 1st floor living area, master bedroom, and office. This great location you can enjoy all the room and beaut"
"Elegant. Sprawling. Private. This estate home is positioned on an expansive property on a quiet low traffic cul-de-sac street. Highlighted by cast-stone details and trim its surrounded by manicured landscape beds overflowing with groomed hedges and shrubs. 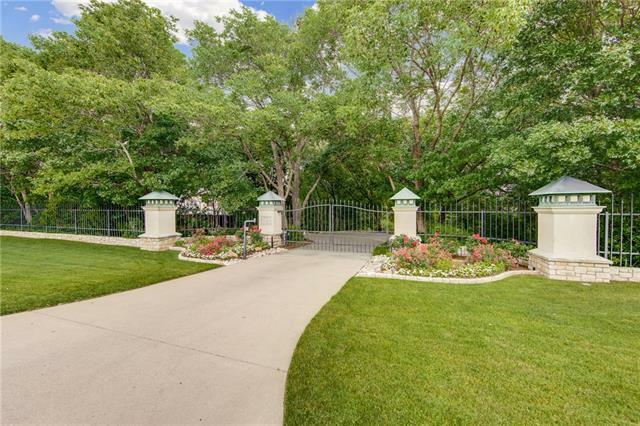 The wide concrete driveway and motor court feature a security gated street entrance and ornate metal fencing. 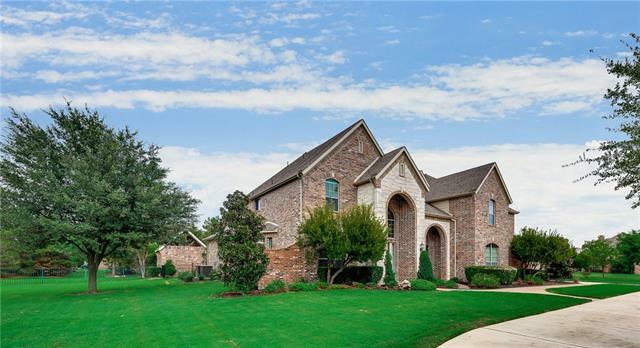 Enter the home and find wood floors, walls of windows, tall ceilings with crystal chandeliers, HUGE master bedroom, open layout with"
"Lovejoy ISD home dream on quiet cul-de-sac in Fairview. 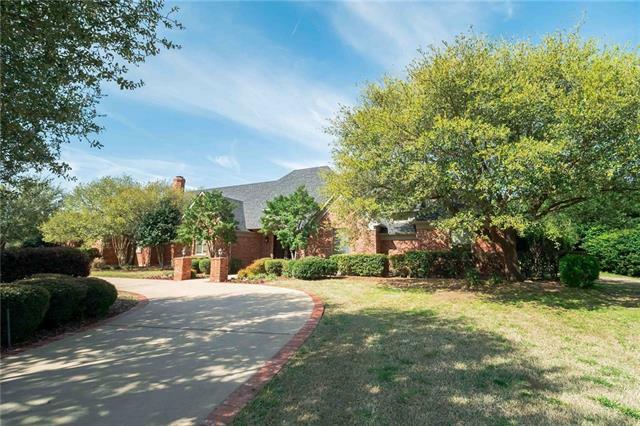 Close to shopping in Fairview Town Center & Villages of Allen. Easy access to 75 & 121. New carpet, fresh paint, updated! Amazing movie theater style media room plus game room, liv room & family room. Oversized 3 car garage with workshop hobby room. Open floor plan which offers a picturesque view of sparkling pool. Main level master suite has gorgeous views of the backyard oasis and hosts its own sitting area. 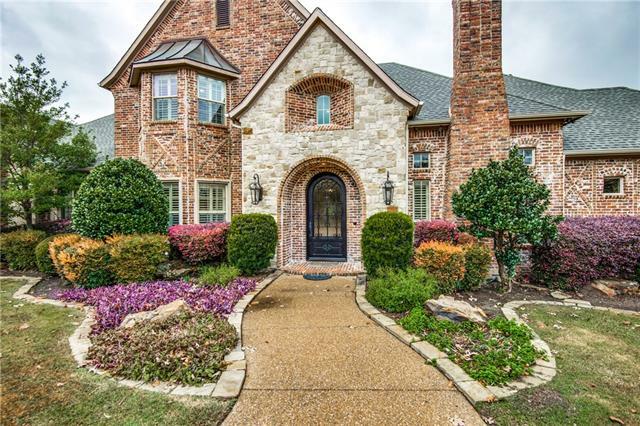 Additional downstairs g"
"GORGEOUS HOME IN PRESTIGIOUS HAWKS WOOD SUBDIVISION*DRIVE UP APPEAL*WROUGHT IRON GATED FRONT PORTE-COCHERE*REAR GARAGE ENTRY*CORNER LOT HAS 1.34 ACRES*OPEN CONCEPT*4880 SQ. FT.*4BR*4.1BA*2LR*1 MEDIA*CHEFS DELIGHT KITCHEN*LOTS OF GRANITE*CUSTOM CABINETS*STAINLESS STEEL APPLIANCES*HUGE ISLAND*VALUTED GRAND ENTRY WITH WROUGHT IRON STAIRCASE*HAND SCRAPED WOOD FLOOR*OFFICE TO THE RIGHT OF ENTRY HAS AWESOME CUSTOM DOOR*HEAVY WROUGHT IRON EXTERIOR DOORS NOT JUST AT THE ENTRY BUT THROUGH OUT*HUGE LAUNDR"
"A MUST SEE this Luxurious estate home is filled with refined architectural touches such as gorgeous millwork, unique ceilings, custom lighting, and tile floors with marble accents. The excellent floorplan is perfect for entertaining with an easy flow between spaces and seamless transitions between indoor and outdoor living areas. Front and back patios are large and paved in flagstone for plenty of outdoor seating and dining. First-floor master suite has a gorgeous master bath and private access "
"BACK ON MARKET - DON'T MISS IT! 1-Acre Lot in Fairview! LOVEJOY ISD! Stunning country setting just minutes to dining, & shopping! You MUST SEE this stunning 5,419 sq ft estate w 5-car garage, gorgeous pool, spa, built-in grill & huge CABANA! 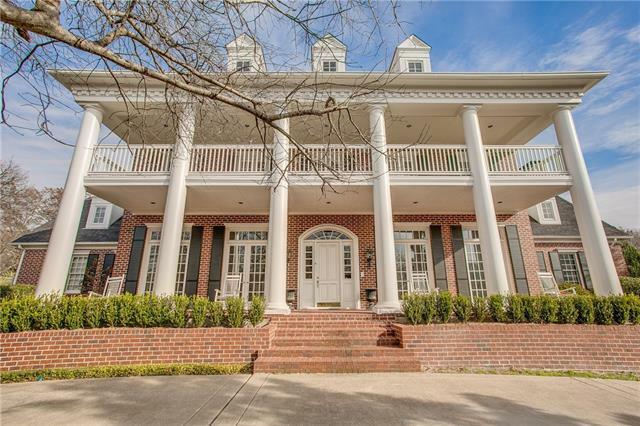 Circle drive, exquisite study, formal living & dining, amazing kitchen w incredible pantry you have to see to believe! Spacious living room w floor-to-ceiling windows & stone fireplace. 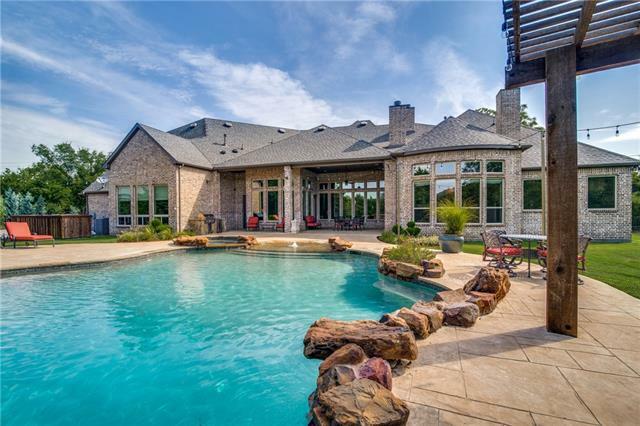 Luxurious master retreat w high-end finish-out & recently expanded custo"
"Stunning Single-story Country Estate in Lovejoy ISD on a large one-acre treed lot with a fabulous backyard pool and entertaining area. Smart home features, plantation shutters, architectural details, built-ins, and stone fireplace. The study has built-ins, French doors, cabinets. Chef s island in the kitchen has a gas cooktop, double ovens, granite island, huge pantry. Large master suite with pass-through fireplace, coffee bar, luxurious bath, large walk-in closet. Backyard paradise offers a C"